Learn how to get healthy before and during pregnancy to increase your chances of having a healthy baby. Plan ahead by getting 400 micrograms (mcg) of folic acid each day. Folic acid is an important part of planning for a healthy pregnancy. CDC urges all women of reproductive age to get 400 mcg of folic acid each day, in addition to consuming food with folate from a varied diet, to help prevent some major birth defects of the baby’s brain (known as anencephaly) and spine (known as spina bifida). Anencephaly is a serious birth defect in which parts of a baby’s brain and skull do not form correctly. Babies born with anencephaly cannot survive. Spina bifida is a serious birth defect in which a baby’s spine does not develop correctly and can result in some severe physical disabilities. All women, but especially those who might become pregnant, need 400 mcg of folic acid every day. Do I need folic acid? Yes! Every woman needs to get 400 mcg of folic acid each day, in addition to consuming food with folate from a varied diet, even if she does not plan on becoming pregnant. Our bodies use folic acid to make new cells like the skin, hair, and nails. Start a healthy habit today by getting 400 mcg of folic acid every day. Why should I start taking folic acid now? Birth defects of the brain and spine ( anencephaly and spina bifida) are neural tube defects. These types of birth defects happen in the first few weeks of pregnancy; often before a woman finds out she’s pregnant. Also, almost half of all pregnancies in the United States are unintended. These are two reasons why it is important for all women who can get pregnant to be sure to get 400 mcg of folic acid every day, even if they aren’t actively planning a pregnancy any time soon. By the time a woman realizes she’s pregnant, it might be too late to prevent these birth defects. Plan ahead! Starting today is the best option. An easy way to be sure you’re getting enough folic acid is to take a daily vitamin with 400 mcg of folic acid in it (most vitamins contain the recommended daily amount of 400 mcg of folic acid women need). If taking a vitamin bothers your stomach, try taking it with meals or just before bed. If you have trouble taking pills, you can try a chewable vitamin. Also, be sure to take it with a full glass of water. Folic acid is added to foods such as enriched bread, pasta, rice, cereals, and corn masa flour. Corn masa flour is used to make foods such as corn chips, tortillas, tamales, and taco shells. Check the nutrition label on food packaging to see if it contains folic acid. A serving of some cereals contains 100% of the folic acid that you need each day. You can also eat a diet rich in folate. Folate can be found in foods like beans, peas, and lentils; oranges and orange juice; asparagus and broccoli; and dark leafy green vegetables such as spinach and mustard greens. However, it is very difficult for most women to get the recommended daily amount of folate through food alone1. Taking more than the recommended 400 mcg of folic acid each day is not necessarily more effective in preventing neural tube defects. Only do so if a doctor recommends taking more per day due to other health conditions. CDC’s National Center on Birth Defects and Developmental Disabilities (NCBDDD) has made a substantial contribution to neural tube defects prevention in the United States over the past two decades, and has led the way in establishing that every woman who can get pregnant should consume 400 mcg of folic acid daily to help prevent defects of the brain and spine. More than 300,000 neural tube defects occur worldwide each year. NCBDDD has a global initiative, Birth Defects COUNT (Countries and Organizations United for Neural Tube Defects Prevention), to significantly reduce death and lifelong disability resulting from these devastating birth defects. The initiative builds on CDC’s expertise and experience in neural tube defects prevention and aims to increase folic acid intake among women of reproductive age to help reduce neural tube defects globally. 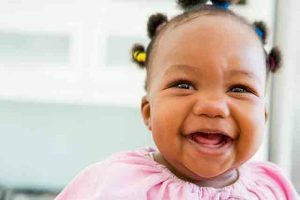 Through Birth Defects COUNT, CDC provides the scientific and programmatic expertise to expand neural tube defects prevention efforts and strengthen the ability to track rates of birth defects worldwide. These efforts can help prevent approximately 150,000-210,000 neural tube defects each year in low- and middle-resource countries. CDC has English- and Spanish-language folic acid educational materials for healthcare professionals that can be downloaded or ordered for free. Visit our website today to get your educational materials!